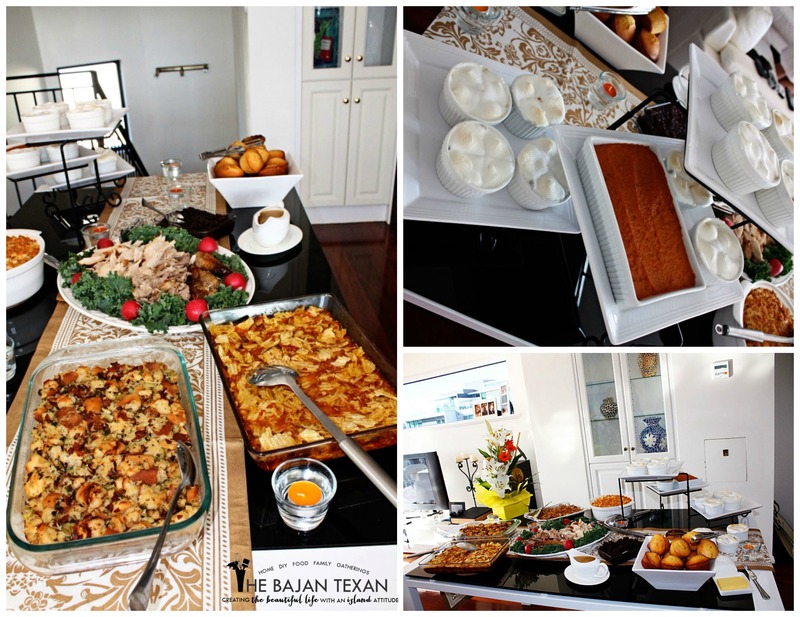 Last week I showed you my family’s celebration full with great Thanksgiving ideas and inspiration. Now I want to share a second thanksgiving celebration. All the way from Australia. My BFFs Kaelie and Andre lived in Australia and they sent me pictures of their celebration there. It was so gorgeous I had to share with you all this year! This year they live in Indonesia so I can’t wait to see pics from there. hint hint Kaelie! 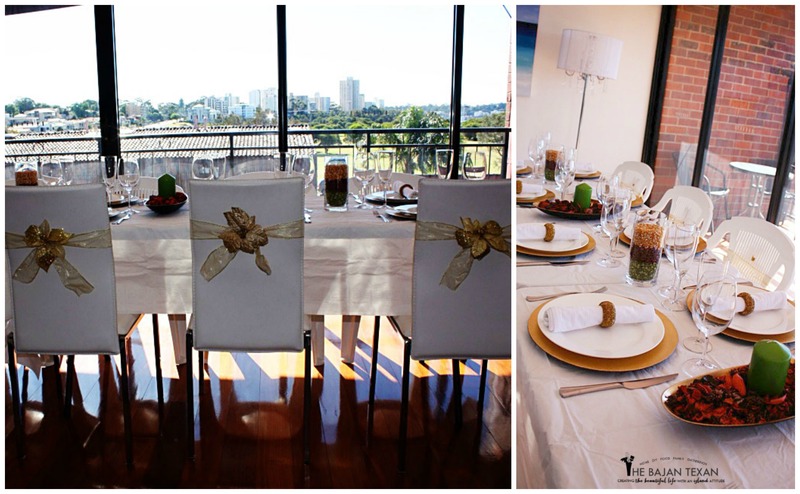 I just love the modern vibe of this thanksgiving celebration. 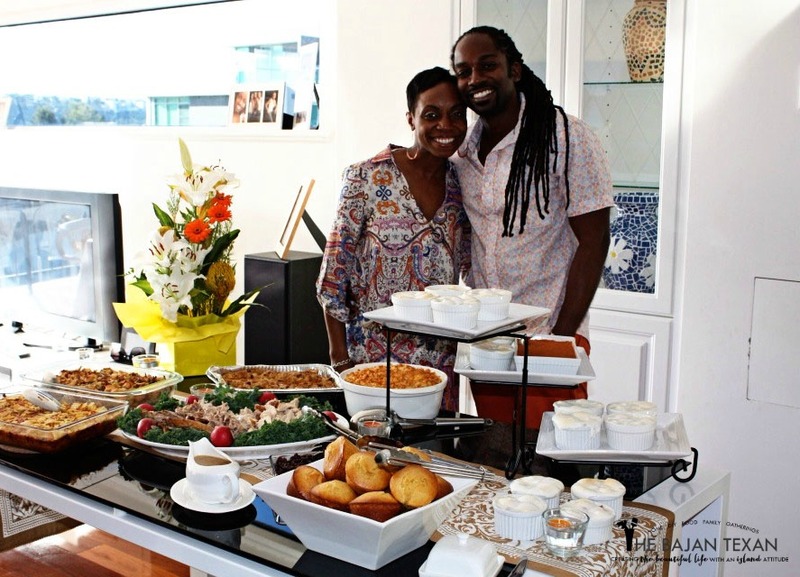 The beautiful hosts and their amazing spread! I just love the little details, the gold sashes with gold flowers, the beautiful tablescape and what about that amazing view! 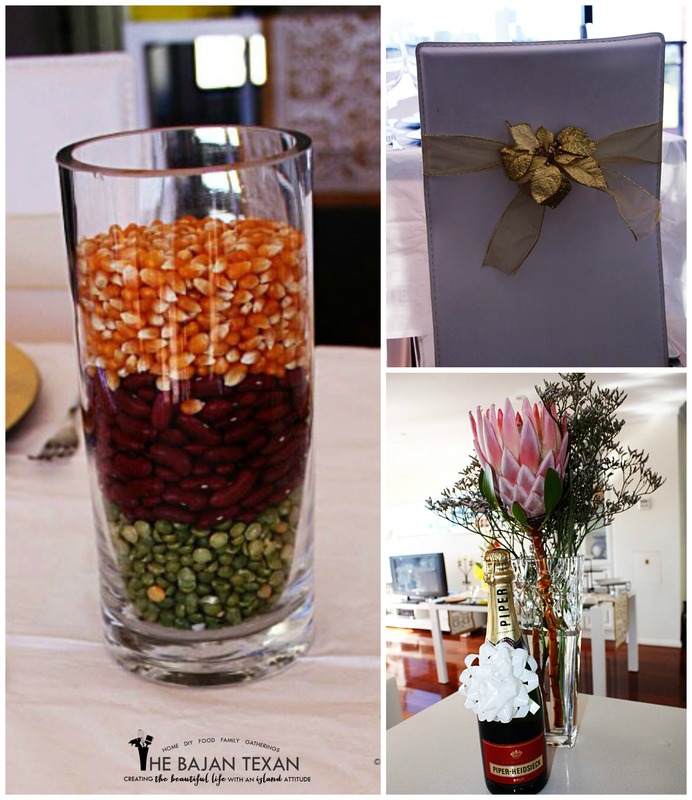 Aren’t these DIY centerpieces gorgeous, and so simple! Layers of green split peas, red kidney beans and corn never looked so good. I cannot stop looking at that flower, its the most beautiful thing I’ve ever seen. It’s not thanksgiving without the food! I’m hungry just looking at this spread. But those individual sweet potato souffles look sinfully delicious. And the company, looks like everyone had a great time. I couldn’t end this post without a picture of this little guy. After all that food it was time for coffee and tea. And this adorable loose tea infuser is just the cutest way to sip tea. I hope you enjoyed looking at these amazing thanksgiving ideas!